Twitter today announced two new mobile features for its Android and iOS apps: photo tagging and multiple photos in a tweet. You can download the new version now directly from Google Play and Apple’s App Store (the updates are rolling out gradually, so you’ll have to be patient). 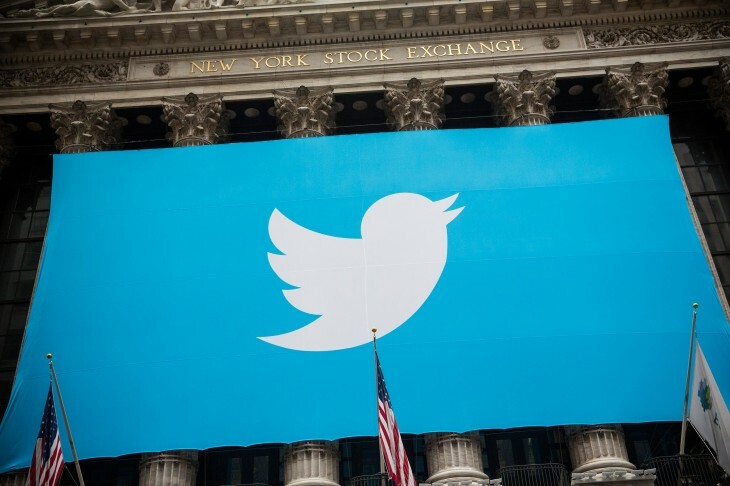 Twitter says both these features will display in embedded tweets. Clearly the company is very interested in boosting photo use on its social network. The first feature allows you to tag up to 10 people in a photo. Best of all, tagging doesn’t affect character count in the tweet: regardless of how many people you tag, you still have all 140 characters at your disposal. This is particularly important if the feature is to be adopted: Twitter users may be more likely to use it if they don’t have to worry about character counts. That being said, getting tagged can become very annoying, so we would recommend using it sparingly. 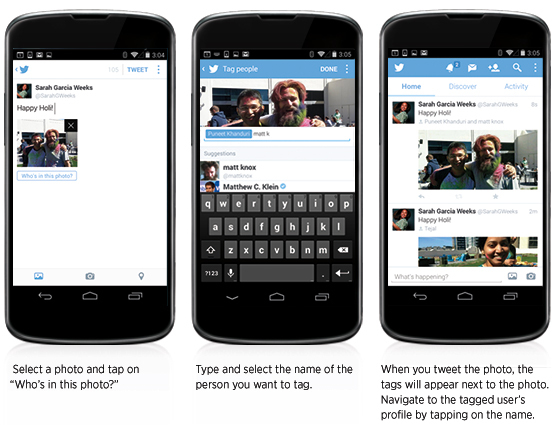 If you get tagged in a photo, Twitter will send you a notification. As expected, you can adjust notifications, as well as who can tag you, in the service’s Settings and Privacy section as shown above. Unfortunately, the default option is set to “Allow anyone to tag me in photos.” Either of the other two options is much better, especially if you want to avoid being spammed. The second feature lets you share up to four photos in an automatic collage. 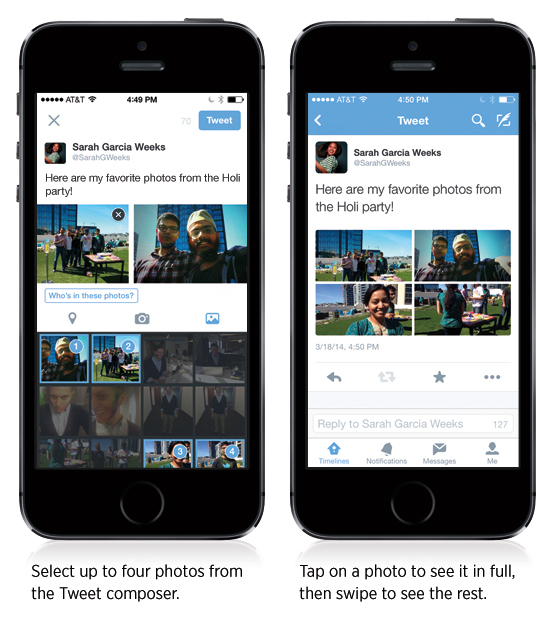 Twitter says the ability to upload multiple photos is starting to roll out today on iPhone, and is “coming soon” to Android and twitter.com. To view multiple photos, just tap on the preview to get the full image and slide through to see more. Viewing multiple photos is available now across Android, iOS, and Twitter.com.